About 26 years ago, I was a young newlywed living in a teeny tiny apartment with an even smaller kitchen. I had been gifted a small deep fryer and was making dinner for my amazing hubby. With a few inches of counter space and an electrical plug directly underneath a drawer… the combination of all elements lead to a very bad grease burn on my hands and feet. I avoided frying as much as possible since. That is until I was sent a Philips Airfryer to try. 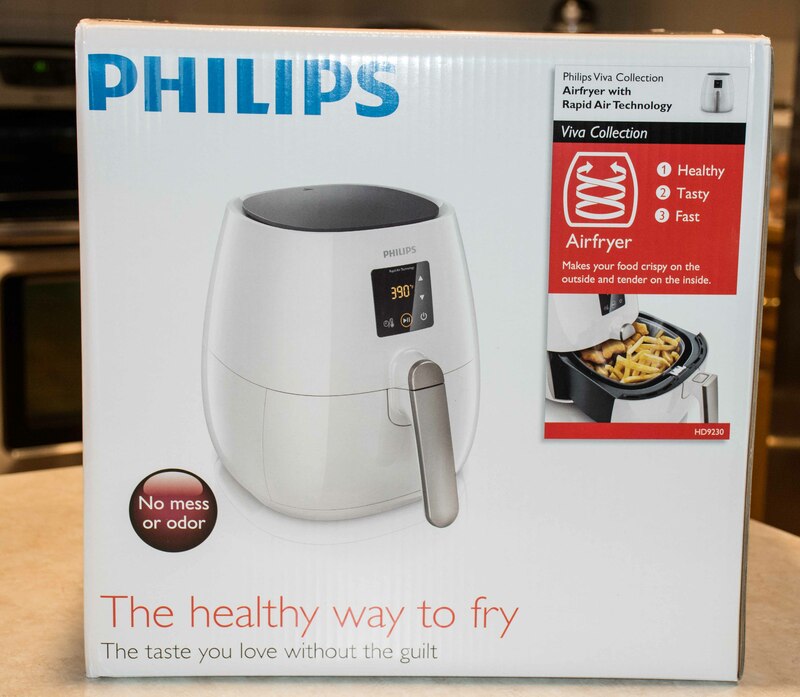 I was promised that the Philips unique Rapid Air Technology lets you fry with air to make food that is crispy on the outside and tender on the inside. I was intrigued by the fact that the advertising mentioned little or no oil is needed to ensure perfect texture and delicious results. If this was true… frying with little to no oil, then I had to try it! 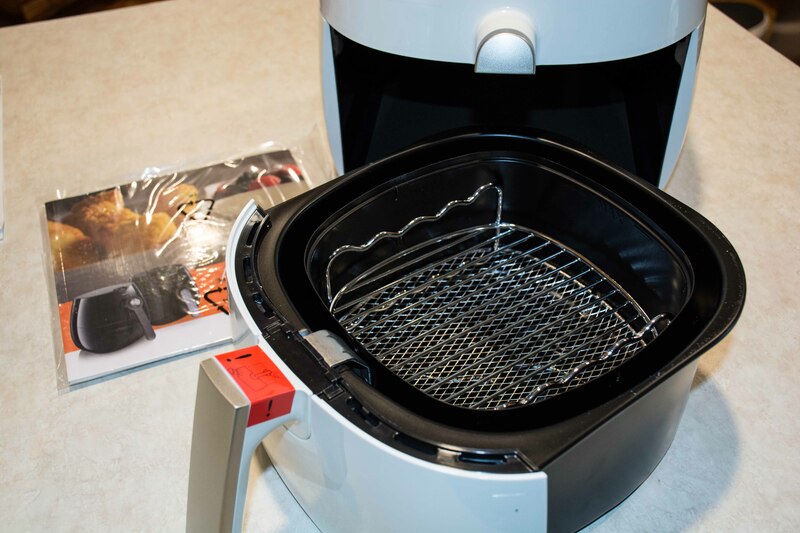 Then I heard that it was not just great for frying, but that Rapid Air technology also lets you grill, bake and even roast your favorite dishes for a one stop solution for all of your meals. Out of the box the Airfryer had a unique and futuristic look to it. Assembly was fairly intuitive and after a quick glance through of the instructions I felt ready to tackle airfrying. My airfryer came with a double layer accessory. This allows you to fry a little more food while still allowing the air to circulate and cook evenly. The removable nonstick coated drawer and the food basket are dishwasher safe for a quick and easy clean up. By pushing the red button on the handle the basket slides out of the base and it’s off to the sink with everything. The digital touchscreen lets you easily customize the settings to cook your food exactly as you want. It comes with an integrated timer to allow you to preset cooking times up to 60-minutes and when the cycle is complete a ready indicator sounds and the machine turns off automatically. The temperature control is adjustable and allows you to preset the best cooking temperature for your food up to 390°F. 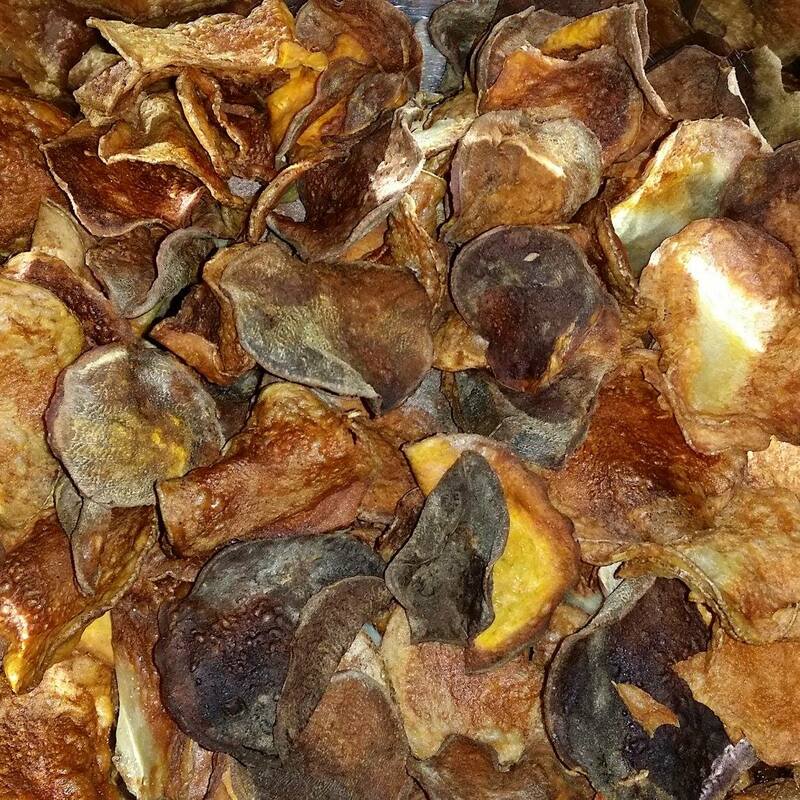 I immediately wanted to give it a whirl and prepared some potatoes for homemade chips. Unfortunately I was a little too inattentive to this batch and several burnt. My husband was a champ, though, and ate them happily without a single complaint. I decided to try frozen items next and popped in my children’s chicken nuggets. Cooking an item like that I was instructed to decrease the recommended temp by 50 degrees and cut the cooking time in half. Perfection! Unfortunately the kids snatched them up quicker than I could find my camera 😉 . 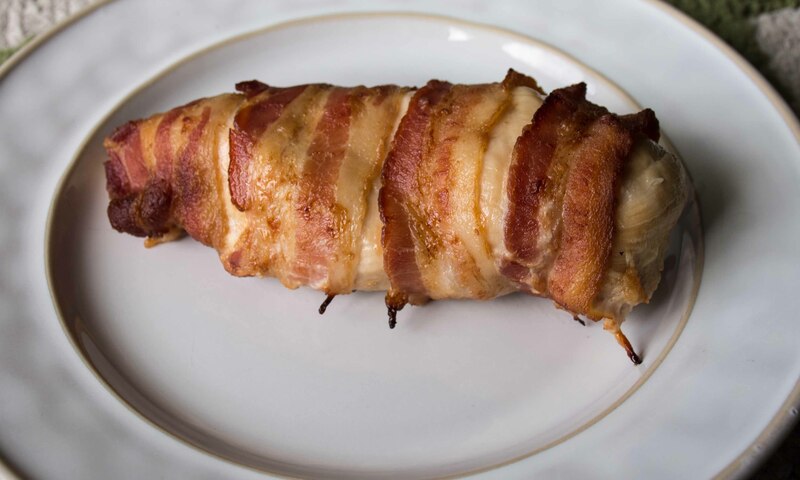 My favorite item to make in the airfryer, as of yet, is bacon wrapped chicken. There is really little to no prep for this. I lightly spray the chicken with a touch of olive oil, cut 2 pieces of bacon in half and drape over the top. I love that I can have a delicious main course like this in 12-15 minutes. It’s moist, easy to cut and looks amazing! 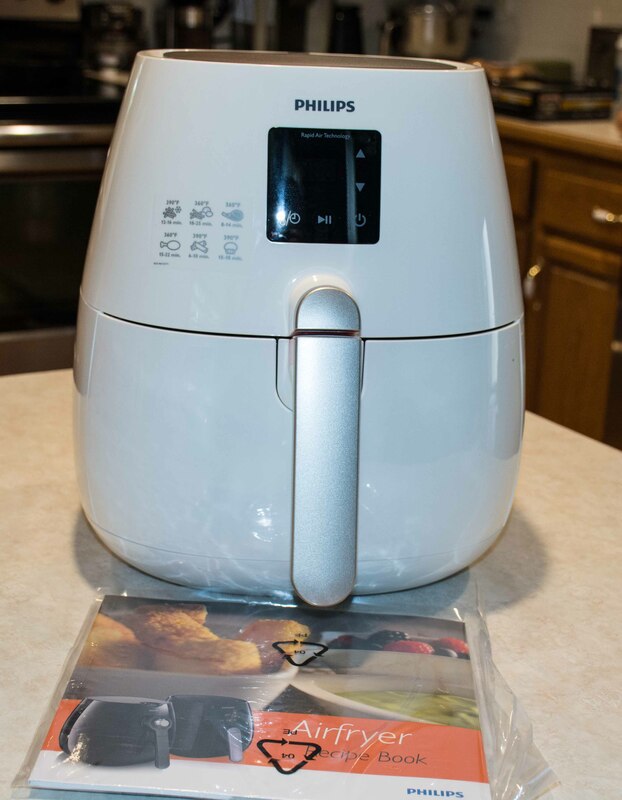 I am seriously loving my Philips Airfryer and have used it at least once every day since it’s arrival. We’ve cooked crispy golden fries, heated up my husband’s frozen vegetarian burgers, the kids snacks, chicken, hamburgers and more all with amazing results! One thing I REALLY love about the Philips Airfryer compared to the deep fried method is that the Rapid Air Technology saves you and your home from the smell of (burned) fried oil. My house only smells like the object being cooked. 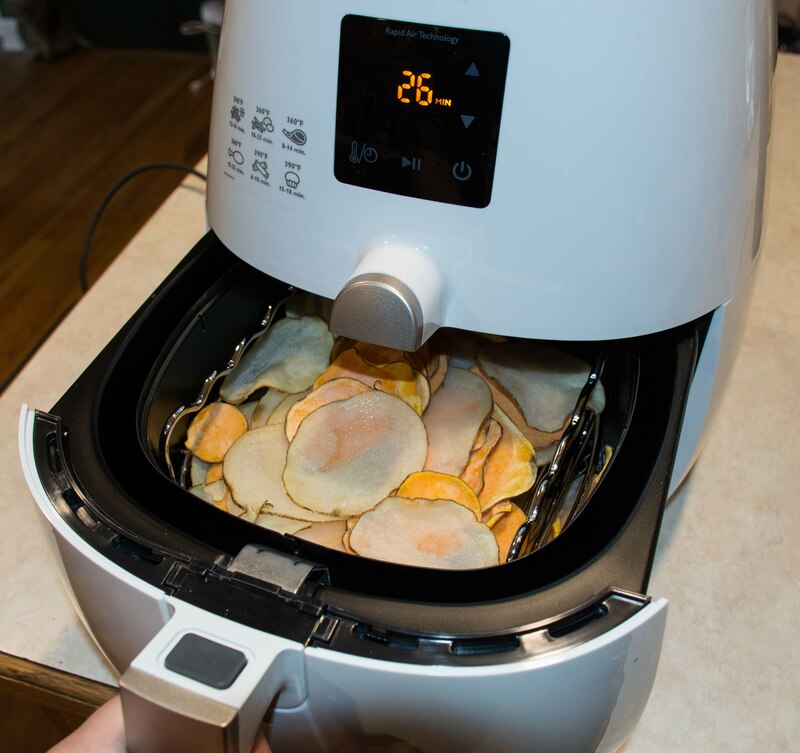 I am amazed that cooking with fast circulating superheated air actually fries up delicious meals quickly without being uneven or excessively dry. It saves me cooking time, cleanup time and calories while creating a healthy meal my family devours. My only wish would be for some sort of handle on the double rack for easier removal when it’s hot. Otherwise, this is pure cooking perfection! This sounds really neat. I can’t believe I’ve never heard of it! This is neat. My husband loves to fry. I might have to look into this as a good christmas gift for him!! This would be awesome for making French fries in, love that it using hot air to cook stuff and no oil. Awesome innovative product. This would be really nice to have. I like it doesn’t take oil. this is amaze balls:) I’ve always wanted to be able to fry my own stuff, you must love this!! ! 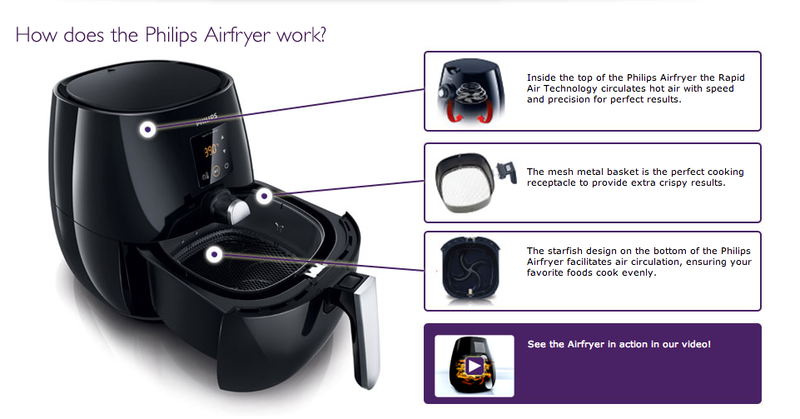 This Airfryer looks really neat! We might have to consider getting one for our kitchen!